All focus and attention for the next two weeks will be poured into the action at the Wimbledon Championships. The excitement was initiated Monday with the first match wins and celebrities in attendance: singer Niall Horan, television star Millie Mackintosh, rapper Drake, and fashion star Jameela Jamil. As expected, the media isn’t focusing on the tennis matches themselves, they are focusing on the celebrities that are present. So, this brings up the biggest question: Which match are Will and Kate going to attend? William and Kate attended last year’s Wimbledon championships to watch Novak Djokovic and Roger Federer in the finals. It is much remembered, as Will and Kate were very expressive in showing their excitement through the intense action. Cheering, waving, and constantly moving in their seats, Will and Kate were much adored by the press and often referred to as young parents. But they weren’t the only celebrities in the spotlight at last year’s Wimbledon. It is extremely typical for celebrities and high-class royalty to attend such events. Will and Kate were joined in Wimbledon by Kate’s parents and sister, David and Victoria Beckham, Bradley Cooper, Samuel L Jackson, Chris Hemsworth, Orlando Bloom and Hugh Jackman. This year’s Wimbledon championships might not be on the to-do list for Will and Kate. As many know, there is a lot of excitement lately surrounding the royal family, especially about the new royal daughter, Charlotte Elizabeth Diana. Now growing into a beautiful family with two children, the couple may be too busy to make so many public appearances. Preparation for the coming weekend is needed as baby Charlotte will be christened on Sunday in Sandringham – the same church where Princess Diana was christened. 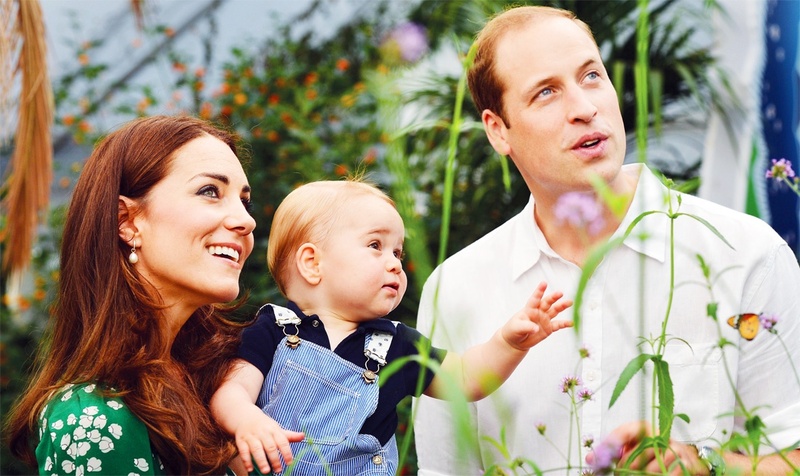 The Duke and Duchess of Cambridge are also busy choosing a suitable godparent for Charlotte. Having children brings a lot of exciting events and tasks to be completed. Even with all their busy royal lives, Will and Kate always make an effort to attend events. They truly are a spectacular couple and perfect fit for future King and Queen. Our book Will and Kate: A Royal Family is coming mid-July. Packed with information and photos on the royal couple including the newest member of their family, this is the perfect title for anyone who can't get enough of Will, Kate and their beautiful children. You can pre-order the title right now on Amazon.